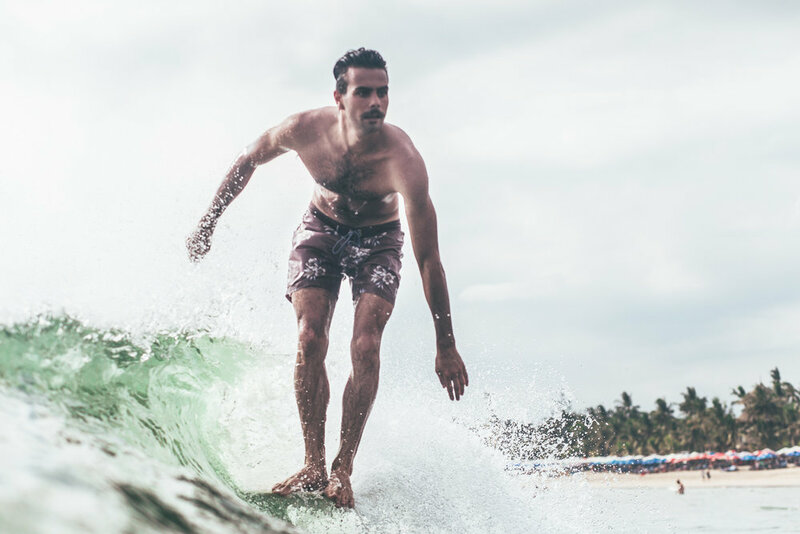 It’s fair to say that Bali is probably the most travelled surfing destination in the world. 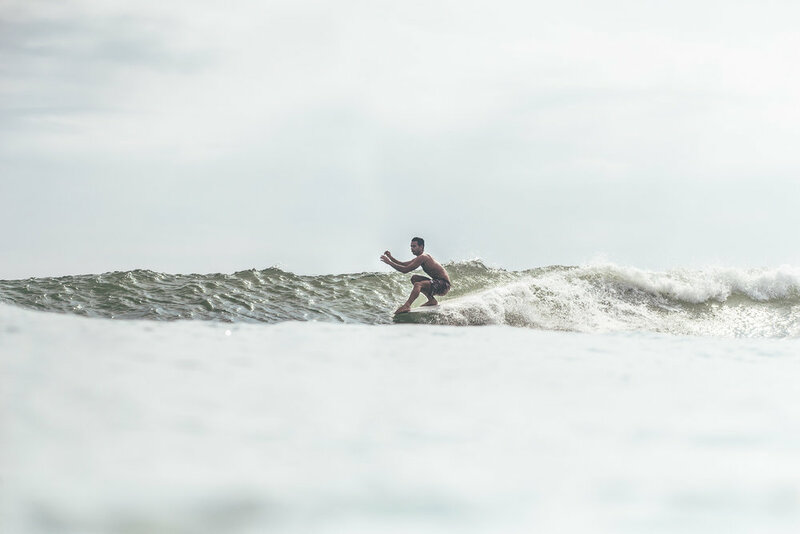 With over four million tourists touching down in Denpasar each year you can only guess that a few handfuls of those will be bringing a board. It’s hard to imagine what things must have looked like when Gerry and co surfed Uluwatu for the first time in the 70’s. The 45 minute walk in they encountered is a stark contrast from the hundreds of singlet wearers practically falling out of the cliff side clubs and into lineup today. However, even with the hoards of burnt Bintang bods, Bali still has a charm that will keep pulling you back. And it was this charm that dragged myself over from Australia, Eurico Romaguera from Portugal and Nathan Sadoun from France to its shores in peak season while two WSL events were on. 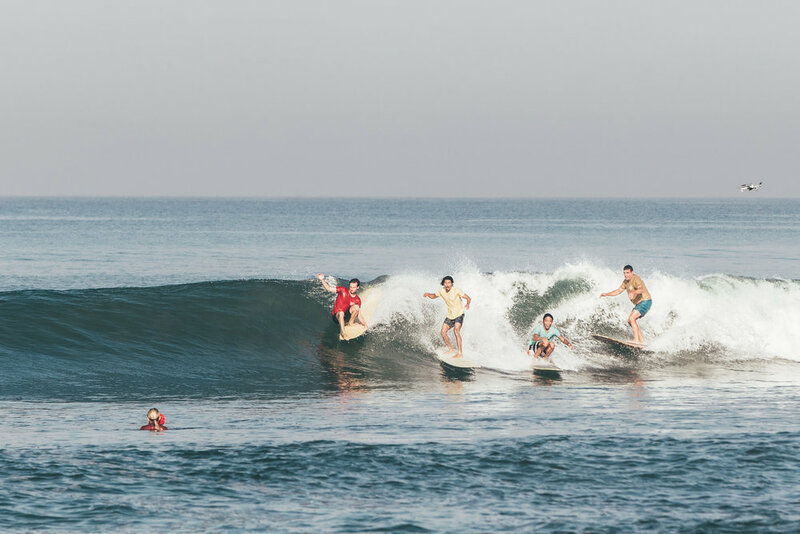 We had come to take part in the annual 9ft and Single logging festival and then search out some waves with our Rhythm pal and local Canggu resident Crille Rask. After arriving from our various destinations the boys and I congregated in the bustling town of Canggu ready to kick off the weekends festivities. The contest is a three-day bender of surfing, music, art and film. Late nights blend into early starts at the beach and by the end of the weekend no one really knows what happened but everyone has had a good time. We all awoke somewhat jaded Monday morning. After waiting for half an hour at the café, Crille and I thought we’d save ourselves some time and went and knocked on Eurico’s door. “Yes be there in ten minutes,” was the response. An hour and half later Eurico appeared with not a hair out of place. Slow but still beating Nathan who no one had heard from. As lunchtime approached and the wind started to puff we discussed our options. Onshore out front, CT on at Ulu’s, too late to go to Kerama’s. “I’ve got a spot” Crille exclaimed. Perfect log waves and no one out sounded to good to be true but with nothing else on offer we strapped our 9 6’s onto our scooters and before we knew it were swinging our single fins through Kuta’s rush hour traffic. Somehow we arrived at the beach without beheading anyone. Laughing at our location we thought Crille was having us on when he led us onto the freshly raked beach right in the heart of Kuta. Before the dozens of bracelet sellers had their chance to get to us we were waxing up. Sometimes the best place to look is where everyone is looking and sure enough Crille had called it. After a super fun session and a couple of Fanta’s under our umbrella we had finished our Kuta holiday and headed back to Canggu. The next morning we met earlier at the Café. Crille and I arriving first, Nathan emerging from the dead and Eurico a mere hour behind. All keen to ride some smaller boards but also avoid the crowds Crille had a secluded spot in mind. As soon as Eurico had finished his second coffee we jumped on our bikes and followed Crille through a maze of winding roads that eventually spat us out at the desired location. True to his word no one else was there and the swell was overhead. We all traded fun waves, freaked out about the peculiar jellyfish and came in satisfied. A fish dinner on the beach provided our last supper together as we made plans for our next adventure. Bali may not be the mystical land of empty perfection it once was, but the charm is there if you look in the right places and no doubt it will keep pulling us back.